I like veggies that are hidden. Don’t get me wrong, my parents never tricked me with beans in my brownies or peas in puree, but I just never loved noshing on a little broccoli tree more than sinking my teeth in a cupcake. Good news, we have pesto to hide our veggies! That’s right, even as a card carrying, rent paying, cat wrangling adult, you can still hide your veggies in Vegan Vegetable Pesto and feel good about it. The inspiration for this pesto came from the idea of hiding veggies in smoothies (my favorite the Green Monster). It seems weird to drink something so green, but it feels awesome when you’re done. There’s spinach in there people, spinach! But all you can taste is peanut butter and banana, for the win. I had the same idea for this vegan vegetable pesto, pack it with veggies without feeling like you’re eating your way through the produce section in a boring way. This recipe is pretty flexible, really any blendable veggies will do, but make sure they have some water content and aren’t too fibrous, or the pesto will become stringy and too thick. Nutritional yeast adds a cheesy flavor and pine nuts bring us into the thick of things. 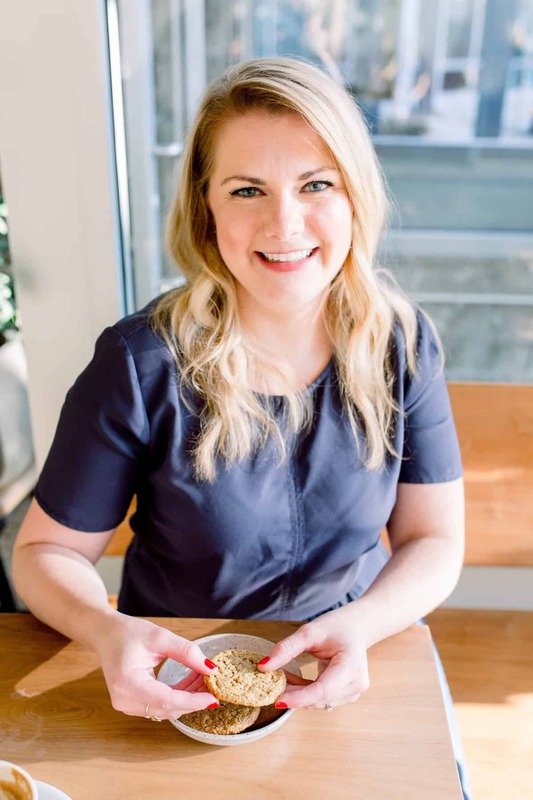 If you aren’t a fan of pine nuts (either the taste or the price, eek! ), toasted walnuts can be used as well. After recently discovering (with a good tip of a co-worker) a wonderful place with any and all kinds of produce you could ever want for cheap, I was left with an abundance of veggies and no where to go with it. In the pesto it goes! Also, I had never tried to make pesto until within the last six months…where has this been?! I use it on everything, pizza, pasta, toast, sandwiches, really, just keep going with your bad self with this creamy concoction. Pesto and pasta has become an easy lazy night meal, toast up some pungent garlic bread, pour some sweet wine and you are good to go. I like to freeze my pesto in ice cube trays and store them in a zip top back, thaw as you need and go! Also, I know everyone and their mother has said this, but daylight savings, I love you. I’m a weirdo and like to go to work in the dark, but light until 6:30? I’ll take it! 1. Place all ingredients in food processor or blender, starting with the water at the bottom and adding the the rest of the ingredients on top. This ensures that the veggies are pulled down as the water blends. 2. Taste and adjust accordingly, if the mixture is too thick, add water, if it is too thin, thrown in a few more veggies. Also, I used a bit more nutritional yeast in mine, but I enjoy more of a cheesy flavor, play with it! 3. Store in fridge for up to a week or freezer for 3-4 months. Ohmygoodness! I’ve been lusting for such a pesto recipe, thank you!!!! I’ll be making this one soon 🙂 Any suggestions as for a sub for nutritional yeast? I’m not actually vegan (just love the recipes), so would parm cheese work? Yes! Pesto usually calls for parm cheese, so either the real shredded stuff or the shake on kind would both work. Enjoy! I love veggies hidden or not, but making them into a pesto sauce can only be a good thing!! Agreed! Sometimes I get a hankering for them, but it’s nice to trick yourself into forgetting you are eating them! I just introduced my dad to nutritional yeast today after he asked what was in the black bean burgers I made for lunch. However, that’s the only thing I’ve ever used nutritional yeast for, so I’m happy to see another idea for it! Oh gosh, I LOVE it! I use it in a little bit of everything! Yum! Looks great. 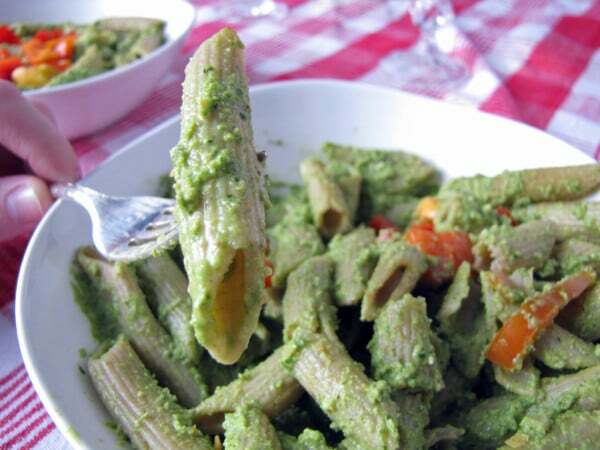 I love pesto of all types – veggie is such a healthy idea. I love hiding veggies in pesto! this recipe sounds amazing! love the ice cube trays! Yum! Yum! Yum!! I love the frozen pesto cube idea. I can’t wait until summer, when I can grow some fresh basil on my back porch. Can’t. Wait. Sounds very delicious. I’m a big fan of pestos – they’re so full of flavor! And adding in additional veggies is never a bad thing. Adding extra veggies to pesto is genius! Mmmmm! This sounds delicious. I miss fresh basil from the garden and I wasn’t smart enough like you to freeze some. I’ll have to do that this year. Thank you! I was lucky I remembered this year, since winter seems to be holding on! I also love the new look of your blog! Yeah! Hahahaha! I do this too! I’d rather eat my spinach emulsified with herbs than straight up! I love that you’re talking about freezing it to enjoy later. It’s always feast or famine in our house when it comes to fresh basil. Loving what I’m reading, Abby!! Thank you! I so agree, it seems like my basil plant goes nuts and I have so much leftover!